Overgrown or dying landscaping can detract from the curb appeal of your home. 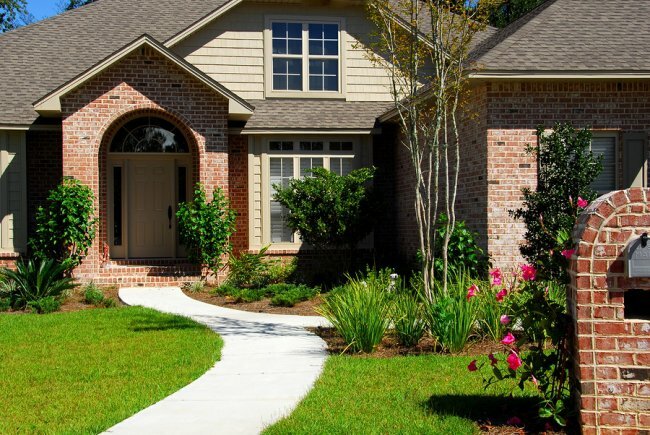 If you are seeking a simple and straightforward method for boosting the appearance of your house, hire a landscaper to provide your yard with a makeover. Freshly trimmed trees and properly watered turf will go a long way towards making your property more attractive. If your home is covered with flaking or peeling paint, your property’s overall appearance may suffer. A fresh coat of paint will cover up any imperfections on the exterior of your home, and your new paint will also provide your property with a major facelift. To boost your home’s curb appeal even further, choose paint colors that are on trend with today’s home designs. When a prospective buyer comes to view your property, he or she is sure to be impressed by a new fence installation. Your fence can make your home much more stately and beautiful from the sidewalk. An ornate wrought iron fence, for instance, will provide your home with terrific elegance. Additionally, you can use your fencing installation to boost the privacy and security of your home. For help installing new fencing in your front yard, contact A-1 Fence Inc. by calling (408) 259-2955. Our team offers many different fence designs in San Jose , and we can install a wrought iron fence that transforms your yard. We are looking forward to helping you design and build the perfect fence for your property.